For use with Laser (recommended) or Inkjet printers. 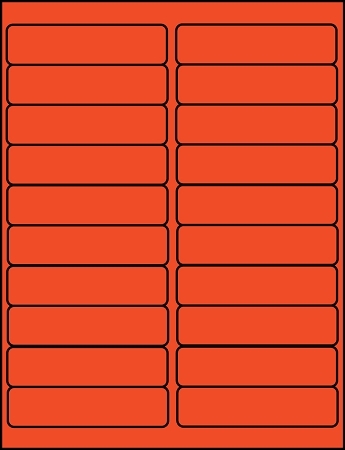 4" x 1" with rounded corners. 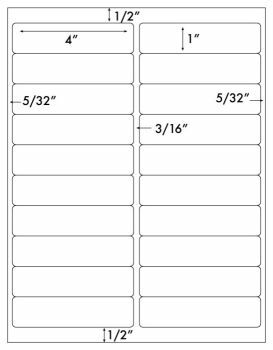 Standard adhesive, Twenty labels per 8 1/2" x 11" sheet. They match the 20 up sheet templates found in most popular software. They work best with laser printers. Free .ai and .pdf templates. Compare these Professional Label brand labels to Avery 5161, and 5961 labels. All trademarks are property of their respective owners. Avery and 5161 and 5961 are trademarks of the Avery Dennison Corporation.